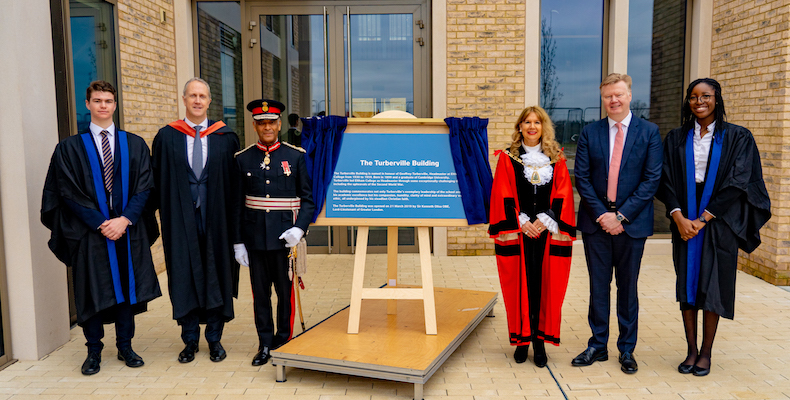 Eltham College in Mottingham has unveiled the Turberville Building ahead of turning co-educational in 2020. The new building, named after former headmaster Geoffrey Turberville, incorporates a new sixth form centre and the departments for maths and modern and classical languages. It also includes new study space, an on-site café, and a careers office. The school has also created a purpose-built medical and wellbeing centre with specialist treatment, counselling and rest rooms. It was the first significant building work on the school site in over 50 years and replaces a tired 1960s construction. The school is expanding in preparation for becoming co-educational next year. Eltham College has incorporated a co-educational sixth form since the 1980s. Headmaster Guy Sanderson said: “As modern foreign languages sees a decline in participation in schools across the UK the opening of a new building dedicated to them underpins the commitment of Eltham College to continue to offer them at all levels. Turberville was headmaster from 1930 to 1959 and oversaw the school’s response to the Second World War. The building was opened by the lord-lieutenant of Great London, Kenneth Olisa, and the mayor of Bromley, Kim Botting.